Bloomfield Spin Central — where savings are in full Bloom… field! 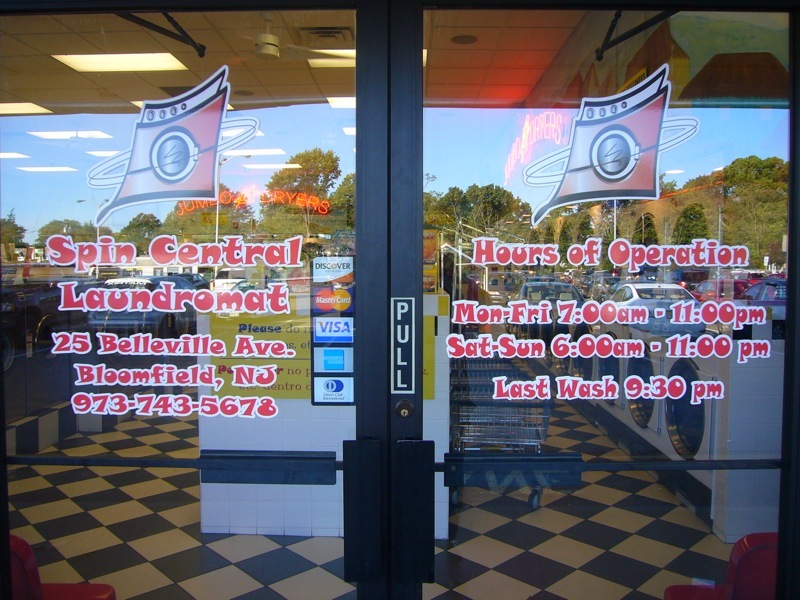 Conveniently located as part of the A&P Shopping Centre at 25 Belleville Avenue in Bloomfield, the Bloomfield Spin Central offers customers a great washing service at an even better price. We make your dirty laundry our business in the best way possible by offering our professional expertise and flawless customer service skills. For those of us who like a bit more pampering, Bloomfield Spin Central offers a wide range of wash, dry, and fold services as well. One less aspect to worry about, making your experience one worth doing again and again. Ask an attendant for the details. Our facility offers the highest quality and largest capacity washers and dryers for all your laundering needs. We look forward to seeing you on your next laundry day!